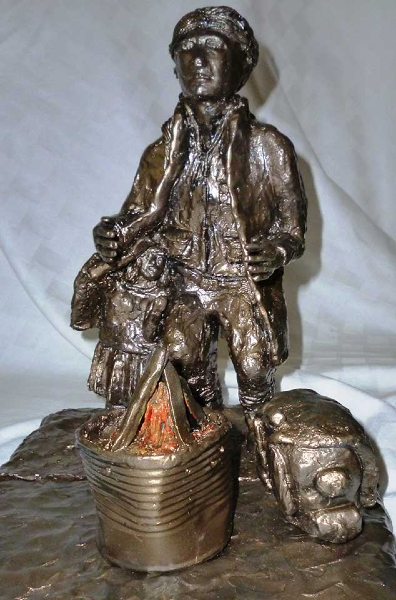 Homeless Statue: What's the Price of Honor? This year, more than 2,300 people in Austin live in homelessness. An estimated 360 to 450 people in Austin are both chronically homeless, meaning one who has been homeless for more than one year or has experienced it four or more times in a three-year period, and are at severe risk of mortality. For those in support of the memorial, the statue will give these members of the homeless community a voice. Richard Troxell, founder and president of the House the Homeless organization, proposed the memorial as a donation-based project and believes the memorial will act as a step toward eradicating homelessness in Austin. 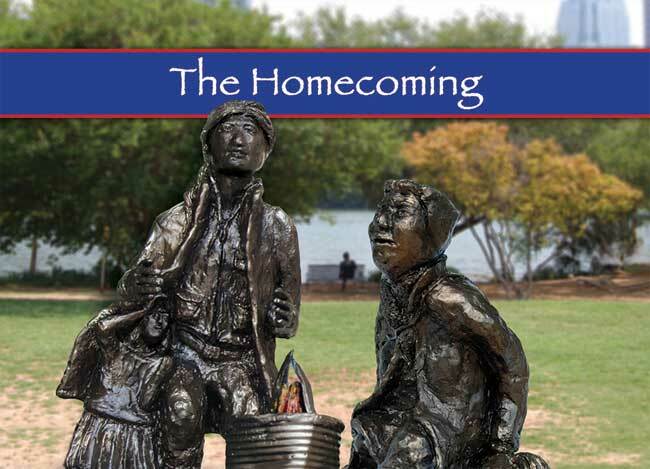 His organization, primarily led by people who are either homeless or have been homeless, first built a memorial for the homeless 20 years ago on Auditorium Shores, and “The Homecoming” would stand alongside this memorial. With a larger display, Troxell believes more people who pass by Auditorium Shores and Lady Bird Lake will be able to see the memorial and properly reflect. “The memorial will consist of three statues made of bronze — a father, daughter, and elderly black woman who meet in a chance encounter,” Troxell says. 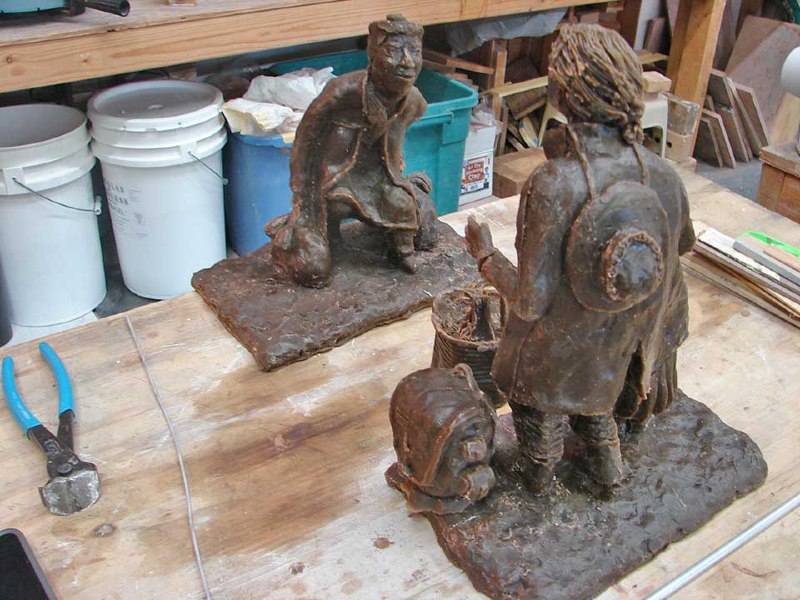 Each character in the statue represents a different member of the homeless community. “The father is a Vietnam veteran. Nearly one third of the homeless population is made up of veterans,” Troxell explains. The little girl in the memorial design is designed to look nine years old, which Troxell says denotes the average age of a homeless person. “Then, there is the elderly woman who is from nowhere, going nowhere,” he adds. Many people praise Troxell’s efforts and plans for “The Homecoming,” including Mayor Pro Tem Sheryl Cole and Austin City Councilman Mike Martinez, but some have also disagreed with the use of the funds. Callen Horton, a sophomore sociology major at UT and a volunteer for Street Youth Ministry (an organization devoted to serving street-dependent youth on Guadalupe Street), expressed his opposition to the statue: “I have to question whether or not the money could be used for something focused on ending homelessness, like low-income housing, or assisting with criminal records,” Horton says. Many subpopulations of people living in homelessness have previous incarcerations, substance abuse, and/or mental illness. However, Troxell believes the money needs to be used to create awareness and make a larger impact. “For people with substance abuse, Texas Star Recovery costs about $25,000 for just thirty days. The cost of the statue would only be about four people in recovery. This statue is a beacon of hope. It is loud and clear and brings in people with money help these people without it,” Troxell says. House the Homeless is still collecting donations for the statue through their website. The existing memorial is also set to have its 20th Anniversary ceremony open to the public to honor the people who have died due to homelessness in Austin this past year some time in November. UT also has a number of clubs that benefit the homeless in Austin, as well, such as the Longhorn Unit of Volunteers and Hunger and Homelessness Outreach. If you’d like to volunteer time, money, or your efforts to ending homelessness in Austin take a look at the charities in your neighborhood.